VANCOUVER, British Columbia, April 16, 2019 /CNW/ -- Trackloop Analytics Corp. ("Trackloop" or the "Company") (Canadian Securities Exchange: TOOL) (FRANKFURT: B2IP) (OTCQB: TLOOF). Trackloop was founded as a diversified technology company with the goal of integrating hardware and software to create an all in one solution which solves inefficiencies in the supply chain. In the past six months the Company has achieved several key milestones which validate our value proposition and competitive advantage in the industry. Trackloop has strategically positioned itself as one of the best-in-class software solutions for monitoring the quality and traceability of food, cannabis, and other temperature sensitive products delivery. Trackloop is an analytics software company that provides an integrated software & hardware technology solution for tracking and monitoring of the supply chain across multiple industries. The Company's turnkey real-time tracking solutions offer the very latest in IoT and AI, providing valuable data and business intelligence to some of the world's leading brands. Trackloop has strategic partnerships with distributors, vehicle upfitters, and end users of the software. The Company has a both B2B and B2C approach, selling through distribution channels and partners, as well as directly to the end customer. Revenue is generated through multiple streams including end-to-end software and hardware integration, service contracts, and a SaaS based subscription model. For the SaaS stream, users pay for the modules they use, allowing tailored packages based on the customer's individual requirements. Trackloop's solutions are developed to be completely agnostic of vehicle, supply chain operations and industry, allowing versatility, and designed with the variance in regulations of different jurisdictions & industries needs in mind. The company is currently focused on applying its solution to temperature-controlled Cannabis delivery as well as urban delivery of fresh and frozen products. Licenced Producers and Cultivators require regulatory approval and licensing for their operations to be deemed legal and to commence business. In the state of Nevada, the final approval process requires all applicants to purchase a delivery vehicle equipped with the appropriate tracking software and for this vehicle to be inspected. Trackloop's partnership with companies like Volta Air Technology and Thermobile outlined below, give the company a strategic advantage through state mandated requirement for traceability solutions which Trackloop provides. Trackloop is a verified California METRC software vendor with its fully functional API integrated with the State mandated compliance platform. Trackloop is the first company with a cold chain tracking solution approved by METRC in California. The Company's platform enables the instant and automated recording of all transactions, quality control, deliveries, pick-ups & drop-offs, and movement of shipments. In addition, Trackloop's solution offers native scheduling and API integration with other scheduling platforms, alongside its flagship temperature-controlled and location tracking module. No other METRC approved vendor in California has these capabilities in a single, integrated solution. Trackloop's track & trace technology and documentation module is developed to be fully compliant with the METRC and BCC (Bureau of Cannabis California) requirements for transportation and distribution of Cannabis in the state of California. METRC represents a new standard for cannabis traceability, requiring cannabis producers and transportation companies to hold 90-day records of all product movement. Similar requirements are expected to be enforced in other jurisdictions in North America. Trackloop's extended dealer network in California provides a strategic advantage for customer acquisition putting the Company at the forefront of the SaaS providers for the cannabis industry. 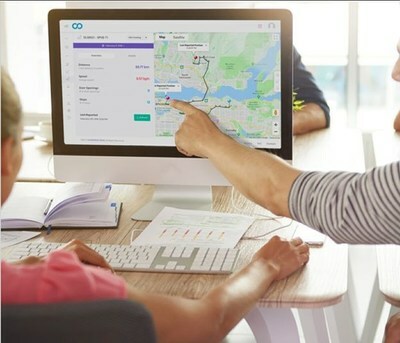 Trackloop has just launched our supply chain mapping platform, which analyzes the entire product supply chain from source to destination, providing real-time visibility of product movement along the supply chain. The platform allows our customers to move away from paper-based records, high-priced administration work, and complex enterprise software packages. Several collaboration agreements are underway to deploy this platform for regulators, LPs and testing labs in the Cannabis industry. This solution provides robust, real time visibility of the supply chain, and all key enterprises involved in the production and distribution of product. The fully interactive analytics map allows a very granular and detailed view of all enterprises and their involvement in the supply chain. In the event of contamination & recall, Trackloop's solution can identify the point of failure accurately and efficiently, dramatically reducing the time required to pinpoint and contain the product affected. The platform also allows for pre-emptive containment through the use of advanced protocols and data analytics from previous events. View the Supply Chain Mapping and Analytics solution Here, and Try a Demo. 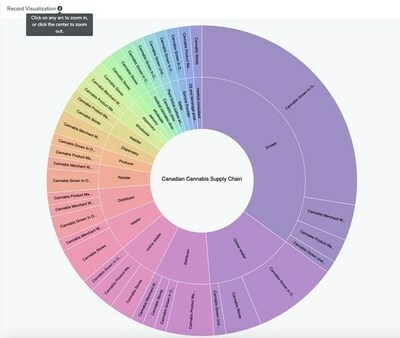 This tool has been used by regulators and municipalities for transportation, health-tech and clean-tech, and will be used in the cannabis supply chain in California & Canada. Trackloop has signed a multi-year distribution agreement with Volta Air Technology and Thermobile, a Southern California based delivery vehicle retrofitter, focusing on refrigerated delivery vans for multiple use cases and industries, including Cannabis and Food. The agreement will open a strategic sales channel in California, enabling the Company to scale the delivery of logistics and cold chain tracking technology in a key target market. Thermobile specializes in insulated and refrigerated delivery vehicle systems for General Motors Company (NYSE: GM), Ford Motor Company (NYSE: F) and Nissan Motor Co Ltd (TYO: 7201). Volta Air Technology builds full electric & zero emission refrigeration units made for sustainable urban delivery vehicles used by SPUD.ca which is currently managing Walmart's (NYSE: WMT) home delivery in Canada via its subsidiary FOOD-X. California is the biggest Cannabis market in North America, set to reach $7 Billion by 2022. Analysts at Cowen & Co. believe the nation's legal cannabis industry could reach $50 billion by 2026, with California accounting for about $25 billion of that market, according to CFN Media. Trackloop has a significant expanding footprint in California partnering with some of the largest cannabis urban delivery providers in the state. Through these partnerships, Trackloop tracking technology is installed on delivery vehicles used by major processors and distributors within the Cannabis value chain. Trackloop's turnkey solution ensures quality and freshness of product as well as real time tracking for customers and regulators. The Company has key distributors in California, who provide Trackloop's products to the end user through their sales channels. Nor-Cal Vans is a certified Ford Qualified Vehicle Modifier, that upfits vehicles for transportation and logistics. Nor-Cal Vans use Trackloop's module as the tracking unit for refrigerated transport vehicles upfitted for their customers. Through these channels, the Company is able to scale its footprint and grow with lower marketing efforts and costs. Trackloop also has agreements with smaller distributors in California. 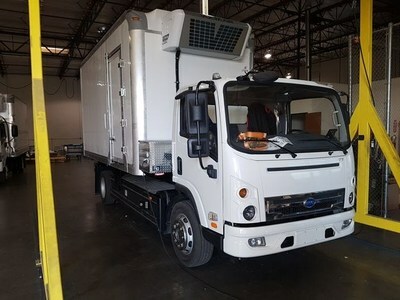 In collaboration with Volta Air Technologies and BYD Company Ltd (SHE: 002594, OTC: BYDDF), Trackloop's proprietary temperature monitoring software was deployed in one of the first all-electric refrigeration delivery vehicles, demonstrated for commercial use in North America. BYD Motors is the largest electric vehicle manufacturer in the world, with plans to offer all-electric refrigeration delivery vehicles throughout North America - Berkshire Hathaway Inc. (NYSE: BRK.A) is one of its largest shareholders. The demonstration vehicles use Volta Air's latest transport refrigeration unit equipped with Trackloop's real-time cold-chain monitoring and tracking software to create zero-emissions refrigerated delivery vehicles. This collaboration represents a disruptive solution which will be alternative to conventional refrigeration units for urban delivery vehicles. Most delivery vehicles used commercially are either gas-powered or diesel-powered and consume a significant amount of fuel. Trackloop's software allows users to monitor and control all systems related to operation of the refrigeration unit, used for urban delivery of fresh and frozen products, as well as scheduling, inventory management, door opening, drop-off / pick-up and real-time location tracking. A commercial demonstration is currently underway with two vehicles by Baldor Specialty Foods in New York, and Raley's Supermarkets & D&D Produce in California. I once again thank you for your continued support. I hope that this provides you with increased clarity on the Company's efforts and confidence that Trackloop is well on the way to positioning itself as the leading SaaS tracking platform for the logistics industry. TrackLoop Analytics (TOOL) is an analytics software company that is leveraging digital asset technology to transform and modernize multiple industries. TrackLoop is taking a diversified approach to the analytics and technology space, delivering practical solutions in the finance, logistics, cannabis, and pharmaceutical industries. The Company's turnkey real-time tracking solutions offer the very latest in IoT and AI, providing valuable data and business intelligence to some of the world's leading brands. TrackLoop is a publicly-traded company listed on the Canadian Securities Exchange (CSE); trading symbol TOOL (C.TOOL or TOOL.cn). For more information about the company please contact us at +1-778-938-3367. Forward-Looking Information This news release contains forward-looking information based on current expectations. Statements about the Company's plans and intentions, signing contracts, potential revenues, expansion into the U.S. market, other potential transactions, product development, events, courses of action, and the potential of the Company's technology and operations, among others, are all forward-looking information. Forward-looking statements consist of statements that are not purely historical, including any statements regarding beliefs, plans, expectations or intentions regarding the future. Such information can generally be identified by the use of forwarding looking wording such as "may", "expect", "estimate", "anticipate", "intend", "believe" and "continue" or the negative thereof or similar variations. The reader is cautioned that assumptions used in the preparation of any forward-looking information may prove to be incorrect. Events or circumstances may cause actual results to differ materially from those predicted, as a result of numerous known and unknown risks, uncertainties, and other factors, many of which are beyond the control of the Company, including but not limited to, business, economic and capital market conditions; the ability to manage operating expenses, which may adversely affect the Company's financial condition; the ability to remain competitive as other better financed competitors develop and release competitive products; regulatory uncertainties; market conditions and the demand and pricing for products; security threats; relationships with its customers, distributors and business partners; the ability to successfully define, design and release new products in a timely manner that meet customers' needs; the ability to attract, retain and motivate qualified personnel; competition in the industry; the impact of technology changes on the products and industry; failure to develop new and innovative products; the ability to successfully maintain and enforce our intellectual property rights and defend third-party claims of infringement of their intellectual property rights; the impact of intellectual property litigation that could materially and adversely affect the business; the ability to manage working capital; and the dependence on key personnel. TrackLoop may not actually achieve its plans, projections, or expectations. Such statements and information are based on numerous assumptions regarding present and future business strategies and the environment in which the Company will operate in the future, including the demand for its products, the ability to successfully develop software, that there will be no regulation or law that will prevent the Company from operating its business, anticipated costs, the ability to achieve goals. Given these risks, uncertainties and assumptions, you should not place undue reliance on these forward looking statements. Factors that could cause the actual results to differ materially from those in forward-looking statements include, failure to obtain regulatory approval, the continued availability of capital and financing, the impact of technology changes on the industry, competition, security threats, consumer sentiment towards TrackLoop's products, services and blockchain technology generally, failure to develop new and innovative products, litigation, increase in operating costs, lack of demand for TrackLoop's products and services, increase in labor costs, failure of counterparties to perform their contractual obligations, government regulations, loss of key employees and consultants, and general economic, market or business conditions. Forward-looking statements contained in this news release are expressly qualified by this cautionary statement. The reader is cautioned not to place undue reliance on any forward-looking information. The forward-looking statements contained in this news release are made as of the date of this news release. Except as required by law, the Company disclaims any intention and assumes no obligation to update or revise any forward looking statements, whether as a result of new information, future events or otherwise. Additionally, the Company undertakes no obligation to comment on the expectations of, or statements made by, third parties in respect of the matters discussed above. The CSE has not reviewed, approved or disapproved the content of this news release. This news release does not constitute an offer to sell or a solicitation of an offer to buy any of the securities in the United States. The securities have not been and will not be registered under the United States Securities Act of 1933, as amended (the "U.S. Securities Act") or any state securities laws and may not be offered or sold within the United States unless registered under the U.S. Securities Act and applicable state securities laws or an exemption from such registration is available.